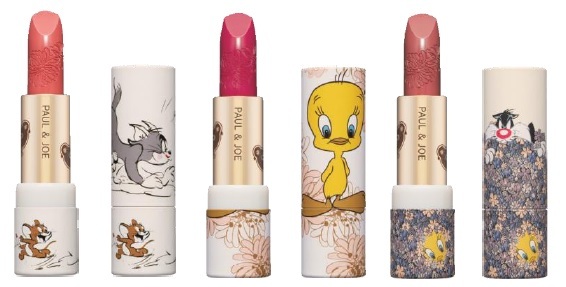 Paul & Joe partners with beloved characters from Looney Tunes & Tom and Jerry to play out their slapstick comedy on the cases of super-cute customizable makeup items. 001 Tom and Jerry - in this original Paul & Joe Beaté design, Tom lures Jerry with cheese and tries to catch him using the face powder case. 002 Looney Tunes - this design features Sylvester trying to capture Tweety, with Paul & Joe Beauté’s Chrysanthemum motif as the background. 003 Looney Tunes - featuring a design in which Sylvester appears plotting to catch Tweety who is hiding behind the bushes. 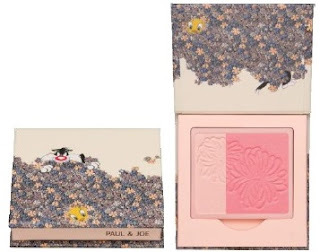 Paul & Joe Pressed Face Powder Case WB - $10.00 - Available in two different designs: 001 Tom and Jerry - Jerry applies Paul & Joe makeup on Tom and 002 Looney Tunes - Tweety stands alone with Paul & Joe Beaté’s Chrysanthemum motif in the background.